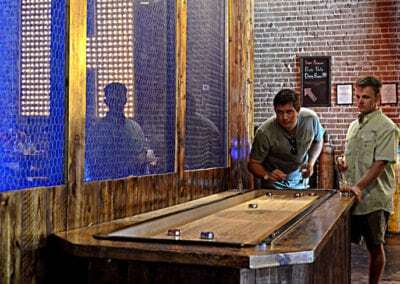 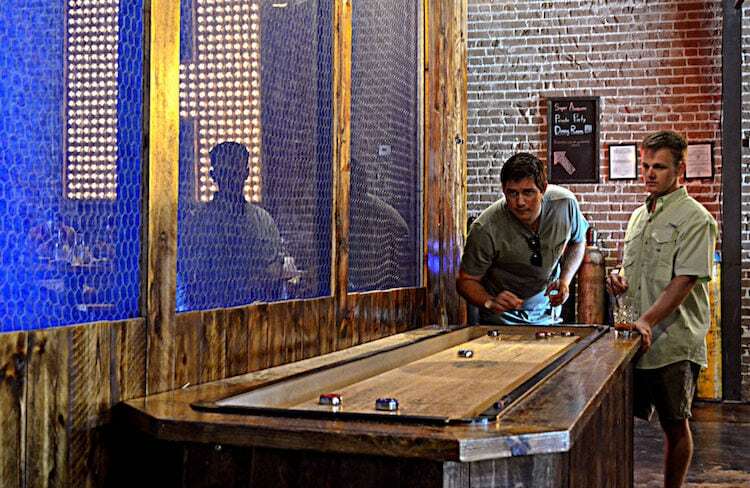 Bovine & Barley is a spacious 3,400-square-foot urban bar and eatery, with a heavy focus on beer. 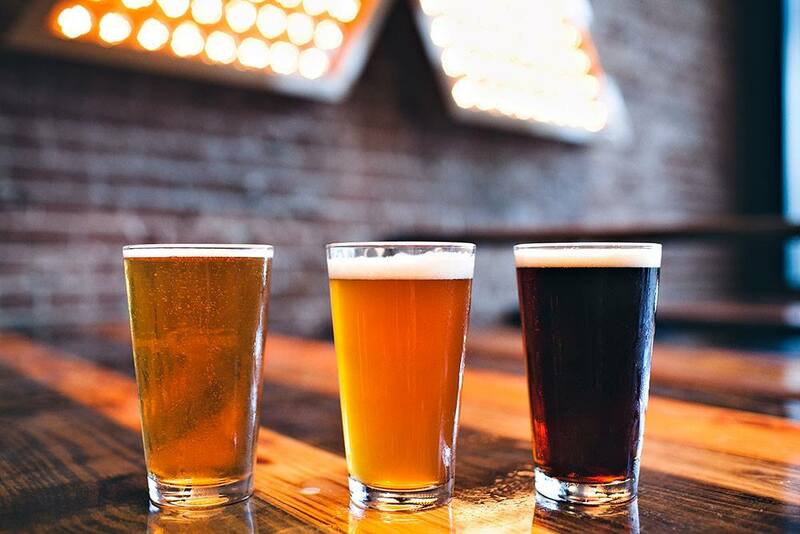 Beer lovers can revel in the extensive portfolio of 42 beers on tap, half of which dispense local brews. Patrons can also sample some of the six draft cocktails on tap. 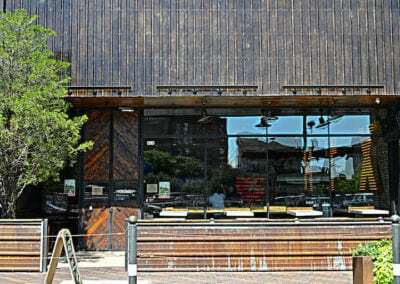 The inside of Bovine & Barley has and industrial feel, complimented by warm wood accents throughout, beamed ceilings, custom banquettes and tables, and a lighting fixture covered in burlap coffee sacks from local Katz Coffee. 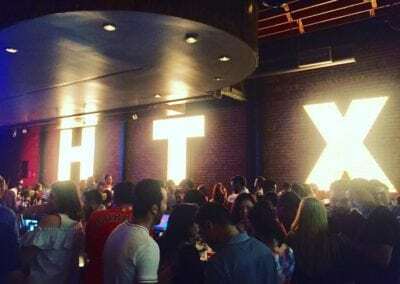 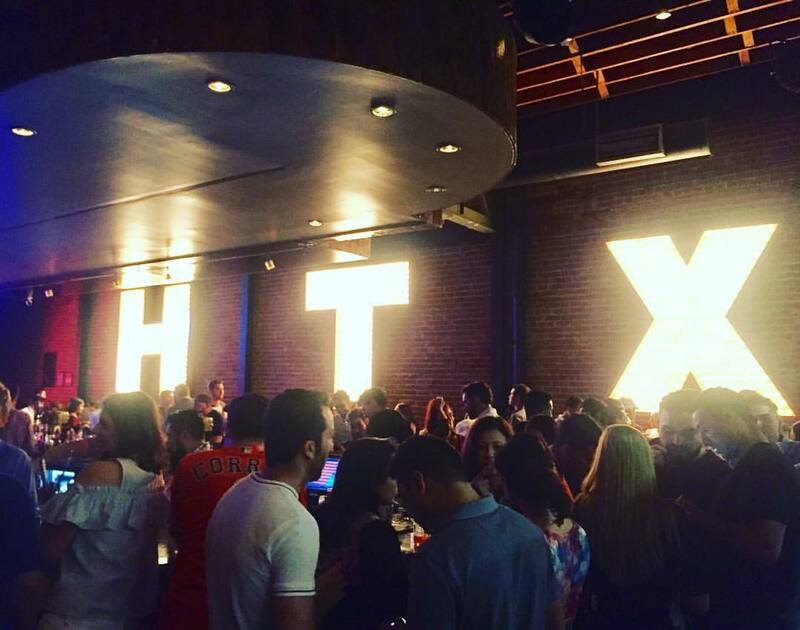 Huge HTX letters hang illuminated on the exposed brick wall. 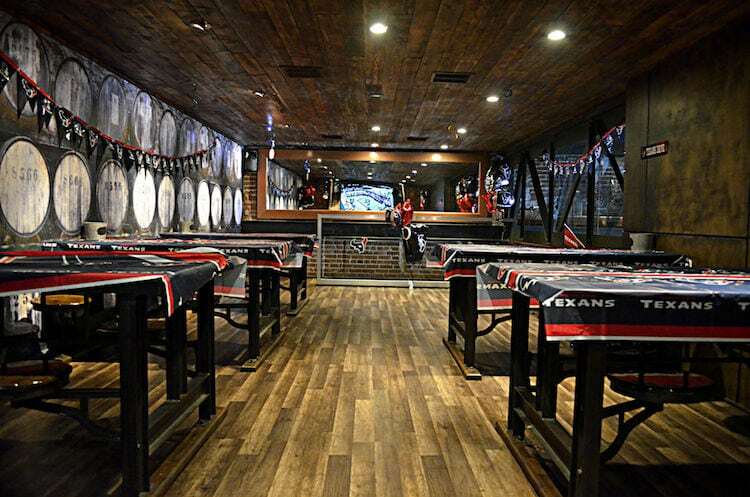 The upstairs features a private room equipped with an 80-inch HD TV, perfect for meetings our intimate gatherings. 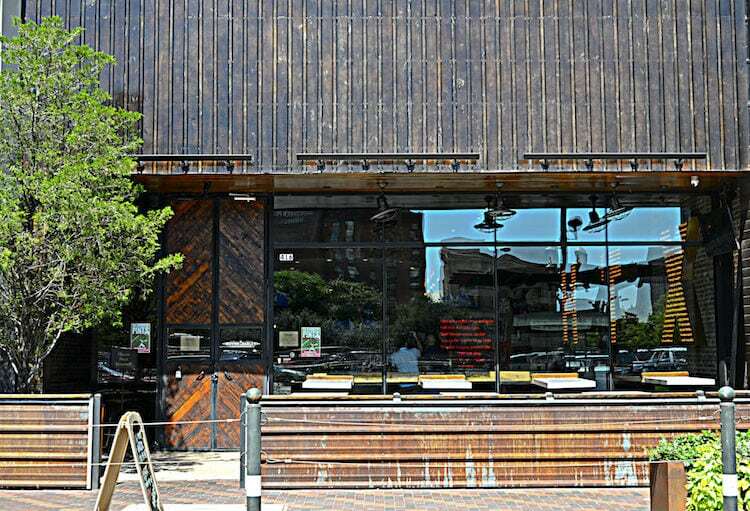 Enjoy outdoor seating at Bovine & Barley’s sidewalk café, which seats 25. 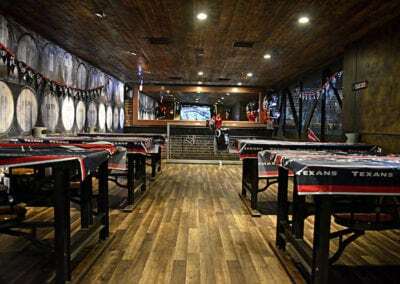 The menu includes many options, such as small bites like the brisket tacos and meatloaf muffins on top of jalapeño mash. 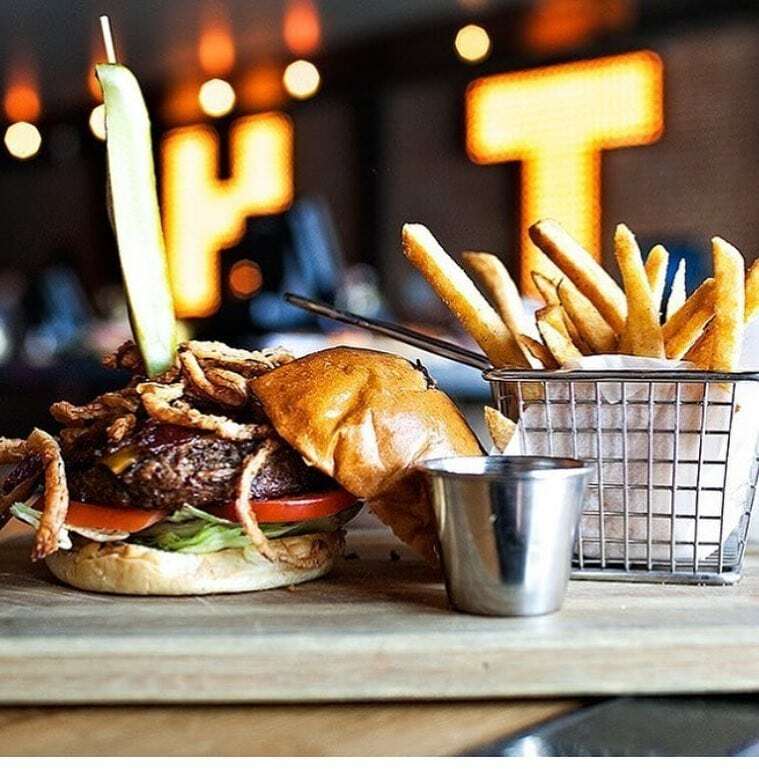 There are a variety of burgers, including a Kobe beef burger and tuna steak burger, as well as entrees like the B&B’s Rib Eye and the 1836 beer-can chicken. 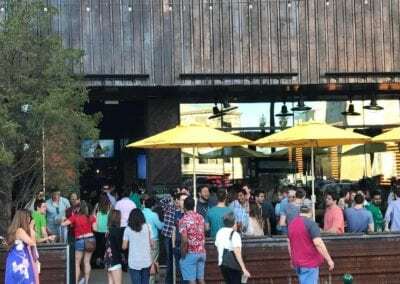 On the lighter side, the Ahi Tuna salad with wasabi soy vinaigrette dressing and the chicken Thai noodle salad are two dishes not to be missed. 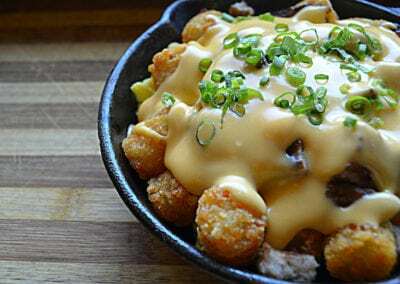 Popular side dishes include corn fritters and deep-fried apples. 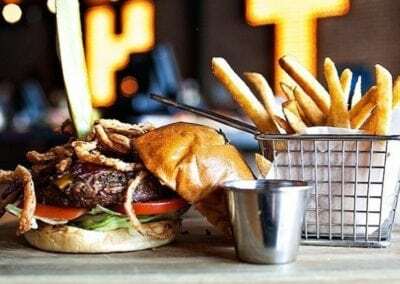 For lunch daily, Bovine & Barley offers a Brown Bag Special for $9 that includes a chef’s choice sandwich, chips and a cookie. 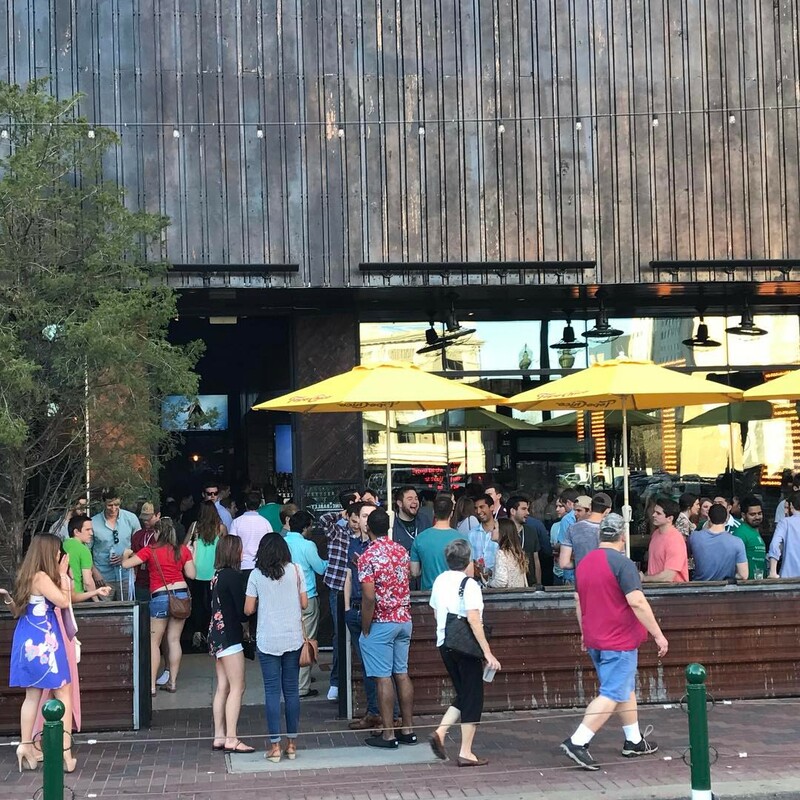 Whether you are looking for a place to host a happy hour gathering with friends or possibly a charity or corporate event, Bovine & Barley can meet all of your event needs.